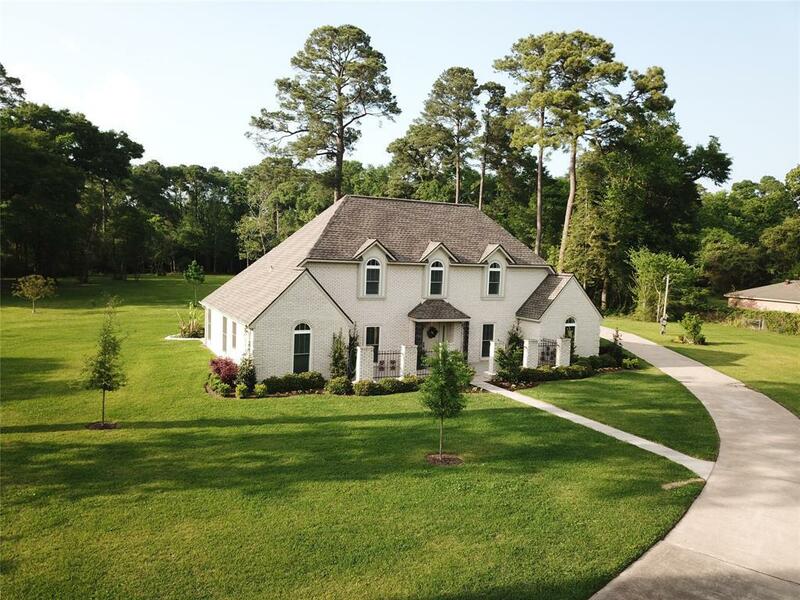 Beautiful Country Estate with incredible views overlooking 4.7 sprawling acres nestled in the heart of Cypress. 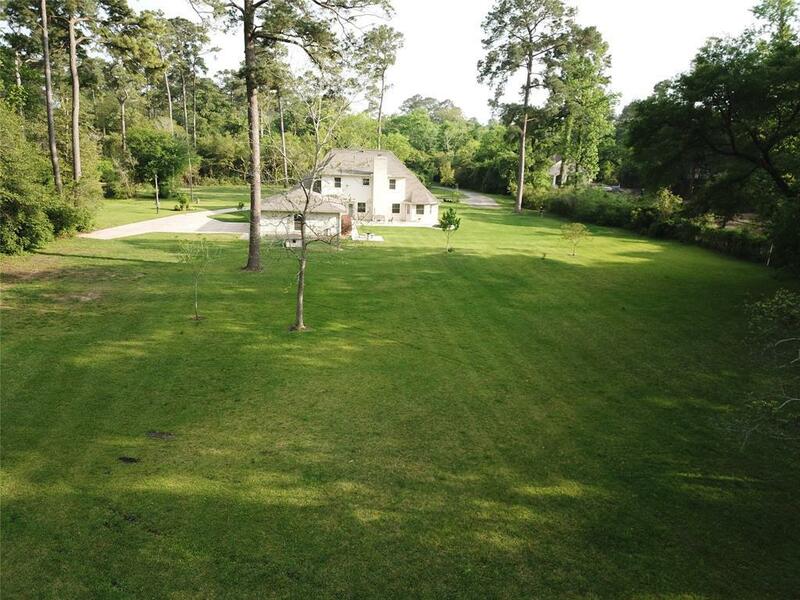 A private gate leads you down the winding driveway to a Horse lovers Dream property with endless riding trails, yet minutes from Hwy 290, Grand Parkwy & Tomball Parkwy!! Classic 4/5 bedroom 3 1/2 bath charmer with updates galore to include: extensive millwork, recent SS appliances w/ gas range, Custom wood cabinets in kitchen and master bath, custom paint in modern gray tones throughout, new electrical, new plumbing fixtures and new exterior doors just to name a few. Open kitchen has large breakfast bar & opens to cozy living room and bar area. 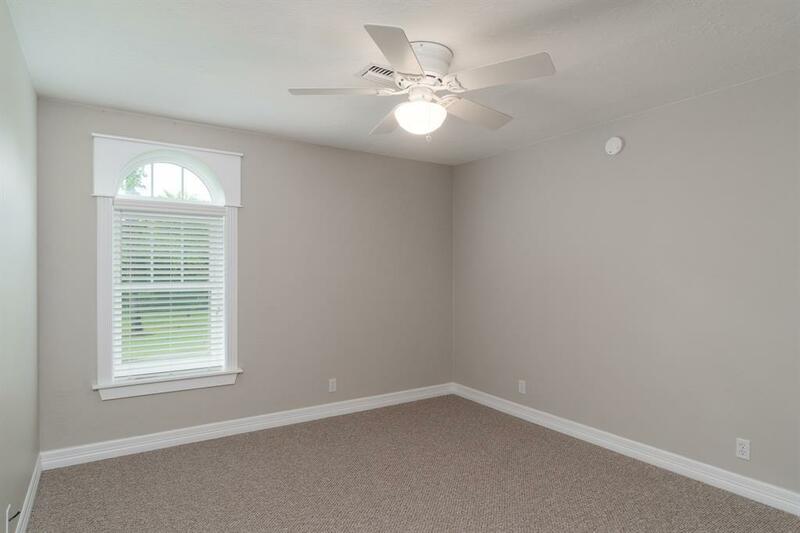 Large downstairs Master Suite with bay window overlooking the expansive back yard and abundance of trees. 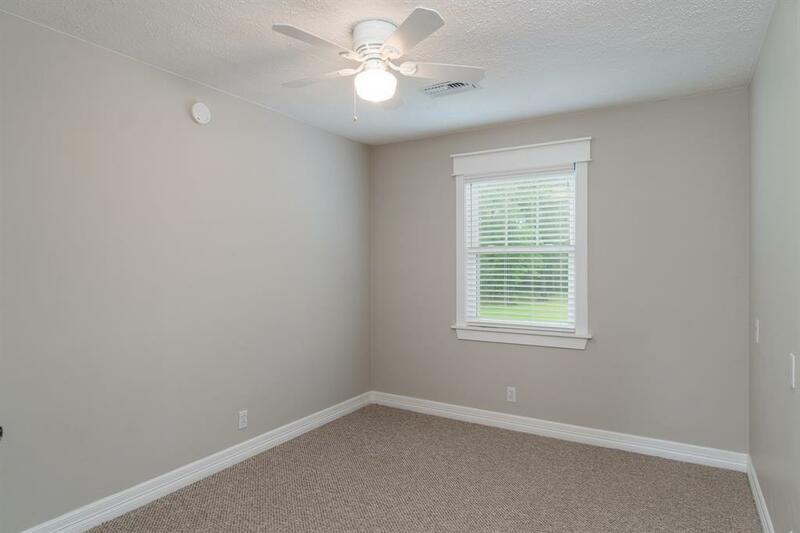 Oversized finished garage with breezeway and a workshop. Enjoy the Vintage pole barn on the property! The classic design and timeless appeal of this home, coupled with beautiful acreage & location make this home a Must See today!